Google today announced eSIM wireless service on its Pixel 3 smartphone with Reliance Jio and Airtel telecom carriers in India. Google was the first smartphone vendor to support built-in eSIMs with its Project Fi, now called Google Fi, which started operations last year. In India, eSIMs are also available on iPhones as well as the Apple Watch cellular variants. “Sprint in the US, EE in the UK, Airtel and Reliance Jio in India, and Truphone and Gigsky in various countries will also roll out eSIM support for Pixel 3 in the coming months,” Kerrie Lenhart Hogan, Director, Partnerships at Google, said in blog post. Pixel 2 was the first major smartphone with eSIM – an embedded SIM that lets you instantly connect to a carrier network with the tap of a button. With eSIM, users can connect across devices in the Google ecosystem – from Android smartphones to Chromebooks to Wear OS smartwatches. “To enable a consistent and simple experience across the ecosystem, we’re also creating a program that allows Android device makers to build eSIM-capable smartphones,” said Google. Launched in October, Google Pixel 3 is priced at Rs 71,000 for the 64GB variant in India and up to Rs 80,000 for the 128GB storage variant. The Pixel 3 XL is available at Rs 83,000 for the 64GB variant and up to Rs 92,000 for the 128GB model. Both phones are definitely on the expensive side of the spectrum, though it’s only been a month since launch, and there aren’t many discounts on the Pixel 3 just yet. 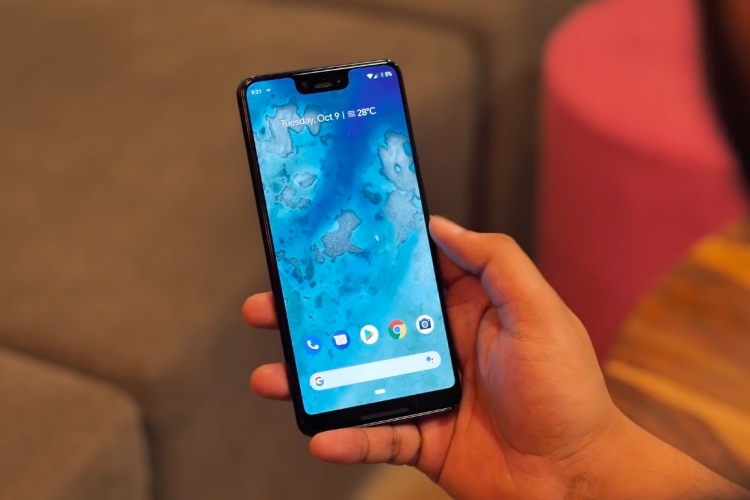 At the moment, you can buy the Google Pixel 3 on Flipkart, as well as retail outlets such as Croma, Reliance Digital, Vijay Sales and more.